Times New Roman didn’t start out as a superhero. It was just a font like any other font, used almost exclusively in newspaper layouts. 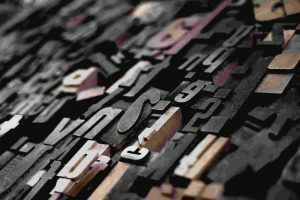 But soon it was Times New Roman to the rescue for virtually every piece of business documentation ever created. Anywhere. By anyone. Like Spider-man, TNR managed to be everywhere at once, leaving the sticky tendrils of its existence behind for others to clean up. For a long time, all was well, Times New Roman was a superhero without a superpower, style over substance, the Batman of fonts. But over the decades, TNR quietly developed its superpower. We first noticed it when we sent an operations manual back to the client for review. This particular ops manual included quite a bit of long-standing content provided by the client, as well as original content we developed on their behalf. Curiously, most of their edits were to their own materials that had been floating around for over 10 years, accompanied by comments like, “We didn’t even know that was in there!” What had we done that suddenly made this content visible? We changed the font. Now Times New Roman is the font equivalent of Jean Grey of the X-Men, a bit ambiguous in its intentions. With its newfound power of invisibility, is it still a superhero or has it turned to the dark side, a perfectly poised supervillain that has already infiltrated virtually every company in corporate America and perhaps beyond? 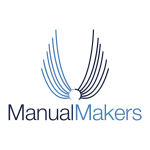 At The Manual Makers, we care too much about your documentation to take that chance. If we need a serif font, it’s Garamond all the way.